Nineteen-year-old senior Hong Guan is one of the only kids in the class who raised his hand to say he actually feels ready to vote. His classmate Lily Liang, 17, raised her hand to respond. Liang isn’t alone. I talked to several teens who are following the latest controversies in this election or, like me, are getting ready to vote for the first time. And many say they want more education about the election process. Kei Kawashima-Ginsberg directs CIRCLE, a research center at Tufts University aimed at studying and boosting youth voter turnout. She says voter education in schools makes a big difference. “Simple things like bringing in the voting machine and let the students practice it,” can help students feel more prepared to vote, she says. 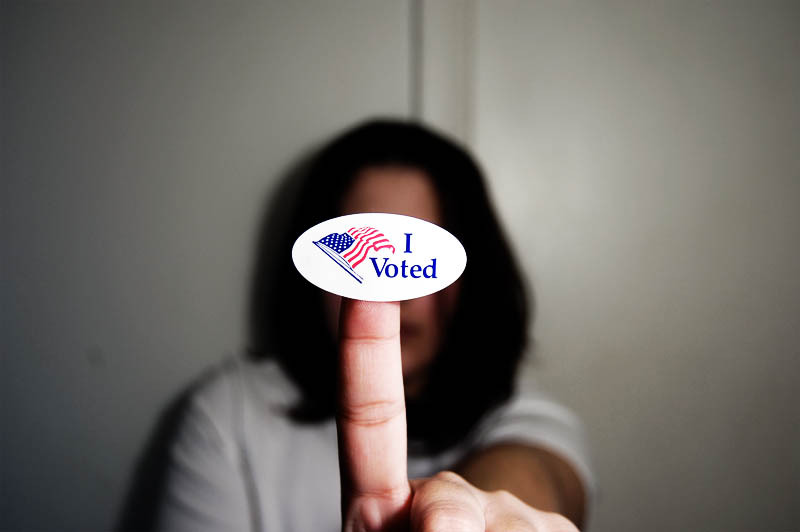 According to a 2013 survey from CIRCLE, teens who learned about voting in high school were about 40 percent more likely to cast ballots in the last presidential election. Civics classes also used to be where students debated issues and policies, but says Kawashima-Ginsberg, that’s totally changed. “State standards in social studies really discourage teachers from really letting students explore what their belief systems are and how they relate to political ideology, and how that’s reflected in candidate’s policies and policy platforms,” she said. At El Centro de Estudiantes, an alternative public high school in Philadelphia, 17-year-old Joselyn Figueroa-Rodriguez says her teachers generally avoid talking to students about politics “because they feel like that’s going to influence the way we vote.” She wishes her school taught more about the political system and how to take part in it, and says she plans to make the most of her swing-state vote as soon as she turns 18. Back in San Francisco, Lily Liang, the teen from earlier who isn’t sure she feels ready to vote, reflected on a revelation she had earlier this year when she volunteered to help at the polls during the California primary. Come November, San Francisco voters will decide on a ballot measure about whether to lower the voting age to 16 on local and school board elections. Based on what I’ve heard from young people, it’s a responsibility they would take seriously.